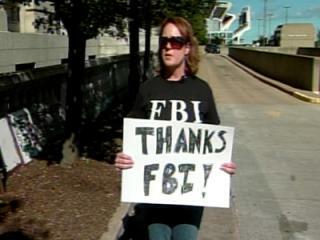 Pic of the Day: "Thanks FBI"
WKYC stumbled upon this FBI cheerleader yesterday after Jimmy Dimora and others were arrested. Rachel Manias said she is a concerned Cuyahoga County resident and a Republican. She said she just showed up to show her appreciation. 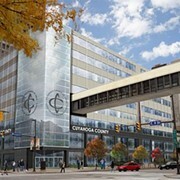 She has been at a number of Cuyahoga County Commissioners' meetings in the past. "...we all want honest government. Corruption has no place in either party," Manias said. Handmade signs, however... those everyone loves.